Add some original wall art to enliven your space! 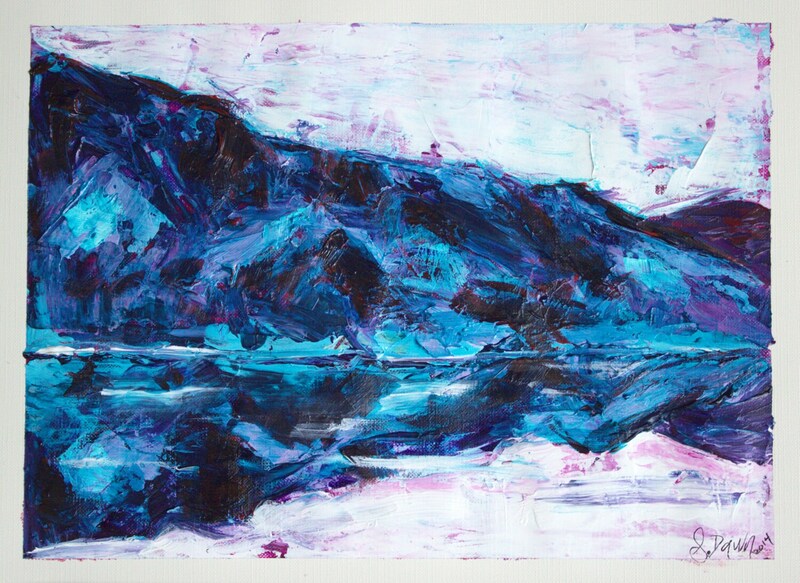 This original painting is made using acrylic paint on canvas paper. 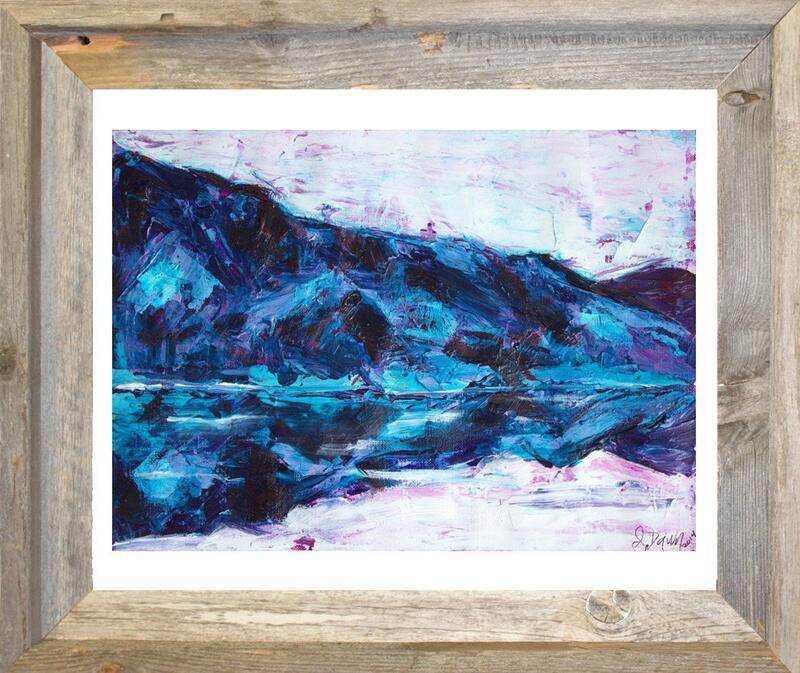 It's an abstract painting featuring a landscape inspired by a Scottish landscape- mountains reflected into a lake. It has brilliant teal, deep purple and fuchsia tones. 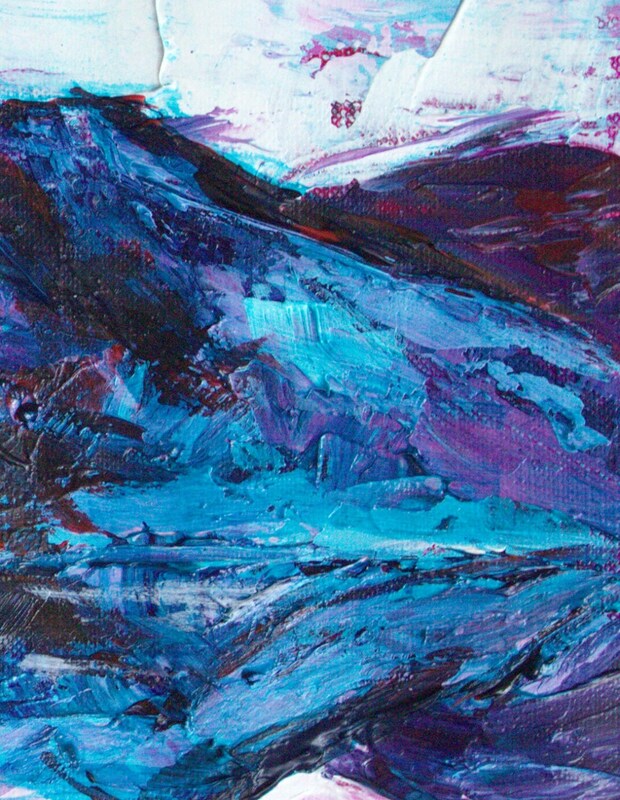 It's very textured and the layering of paint creates depth and dynamism. This bright and energetic painting is sure to liven up any space and bring a pop of color and beauty! 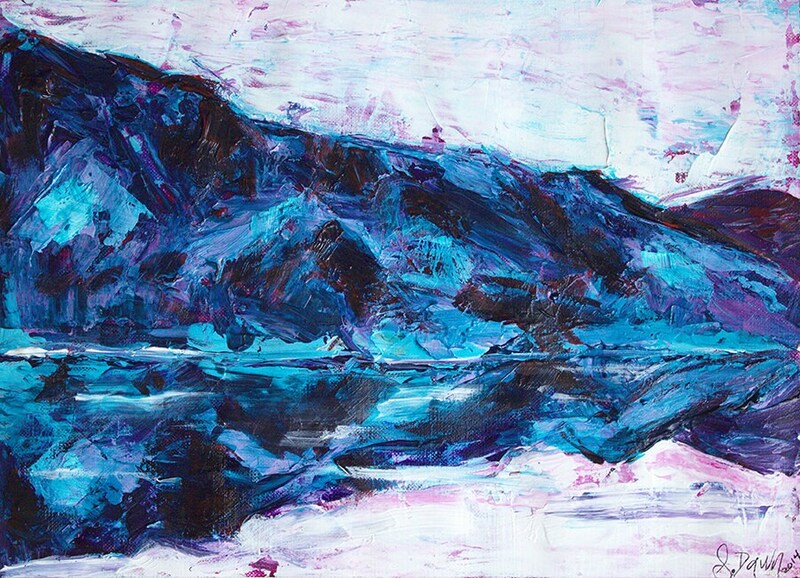 This painting was made with acrylic paint on canvas paper. I used a thick gel medium mixed in with the acrylic paint to give it more body and texture.